Type English in the box given below. As soon as you'll press SPACE, the word will convert in Nepali. For example, to write "नेपाल" you should type "nepal" and then press SPACE key. If you want to type something in English in the middle of Nepali text, press Ctrl+g to toggle between English and Nepali. 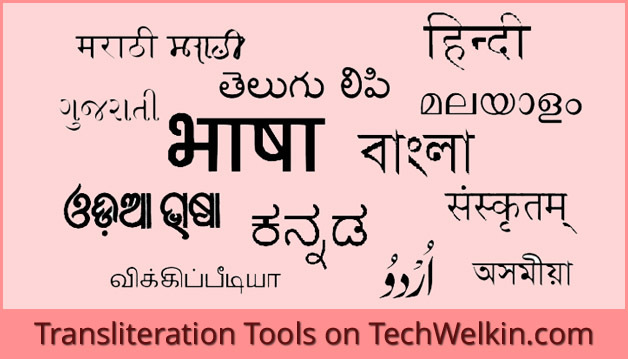 TechWelkin English to Nepali Typing Tool is a simple facility that gives you a clean interface to easily type in Nepali on computer and do English to Nepali translation (conversion). This tool automatically converts the Roman text into Nepali Unicode font. For example, if you need to type "नेपाल" just type "nepal" in the above box. As soon as you will hit SPACE key, the English text will convert into Devanagari text. Unicode is a standard that defines all the letters in all the languages around the world. Text typed in Unicode can be read on all the computers without installing any extra piece of software. Therefore, it is always recommended that you type Nepali in Unicode. The TechWelkin Nepali typing tool gives you Unicoded text. So, you copy the Nepali text from above box and paste it anywhere in the computer; for example Gmail, Facebook, Twitter, MS-Word document etc. This conversion of one script to another (i.e. Roman script to Devanagari) is called transliteration. However, some people mistakenly call it English to Nepali translation. Translation happens when vocabulary is changed. In this Nepali typing tool, only alphabets are changed to a different script. Nepali is written using Devanagari script. This script is also shared by several other languages including Sanskrit, Marathi and Maithili. Nepali typing on computer picked up pace when Unicode standard was defined for Nepali. Earlier, Nepali was written on computers using legacy, non-Unicode fonts like Krutidev, Shusha, Shiva and Chanakya. Scores of such fonts were in use between the year 2000 and 2006. The main trouble with these fonts was that the Nepali text typed on one computer was not readable on other computers if the font used was absent on the target computer. To get around this problem, people used to send the font file along with the typed Nepali material. The reader had to first install the font and only then the file used to become legible. This problem aggravated when Internet became popular on India and people began to type Nepali online. Thousands of blogs and websites in Nepali language came up. Such websites had no option but to place a notice on their homepage with instructions on how to download the legacy font that was used on the website. All these problems began to vanish when Unicode came by. It revolutionized the online Nepali typing. Google came up with Transliteration tool that allowed users to do English to Nepali translation (it is actually conversion, but many people still call it translation). In no time, several font converters were also developed to allow automatic conversion of Nepali text into Unicode. Microsoft bundled the Mangal font with its Windows operating system. Mangal is a Unicode font and it solved the problem of unavailability of a universal font. Now that Mangal was present on almost all the computers, online typing in Nepali and display of Devanagari script on websites became very easy. Nepali is a major language in India. It is understood in most parts of the country but states like Delhi, Uttar Pradesh, Bihar and Madhya Pradesh constitute a so-called Nepali Belt. These are the states where Nepali is the lingua franca. Now, use of Nepali on computer, Internet and mobile devices is fairly popular. Nepali speakers want to type status messages on WhatsApp, posts on Facebook and emails in Nepali. It is heartening to see that technological support has given a great boost to the online presence of Nepali language. Online content in Nepali is not yet in excellent shape but things are moving is a better direction. Companies have been showing their confidence in Nepali content. This could turn out to be a big moment for professional bloggers who do blogging in Nepali language. If you feel surprised to see your friend sending you message written in Nepali, then it is time that you refresh your skills. It is extremely easy to type Nepali on computer. Give a try to the TechWelkin online tool for Nepali typing and you’ll see on your own that it is not so difficult. You don't need to learn professional typing. The above tool uses phonetic layout. Type with the regular English keyboard and this tool will automatically convert English text into Nepali. It’s fun! Give it a try. The above tool allows you to save file as a MS-Word document. It also gives you the option of easily correcting commonly made mistakes in typing (for example, people use pipe symbol ( | ) instead of poorna-viraam). If you're using Internet Explorer, Save option may not work. In such a case, you can copy the typed text and save it manually in a file. However, we would advise you to begin using Google Chrome or Firefox web browsers (these are much better than Internet Explorer). This online English to Nepali typing tool is mobile-friendly and you can use it on your tablet or mobile phone as well. However, you can also learn how to directly type Nepali on mobile phones. We hope that this tool will be useful for you. Please share it with your friends as well.